Here's proof that a truly natural mascara CAN be amazing! Our silky, lash-defining mascara is totally weightless yet provides all day color. The smooth light-as-a-feather base boasts zero clumping due to the absence of clay in the superior lash-conditioning formula. Bat your eyes and flutter your lashes without flaking and smudging. This paraben free formula is botanically-enriched with saw palmetto fruit and avocado butter to condition lashes from base to tip. Water-resistant, work-out proof. Not water-proof. Made proudly in the USA with certified organic ingredients. 2) Drama queen? Apply two coats. 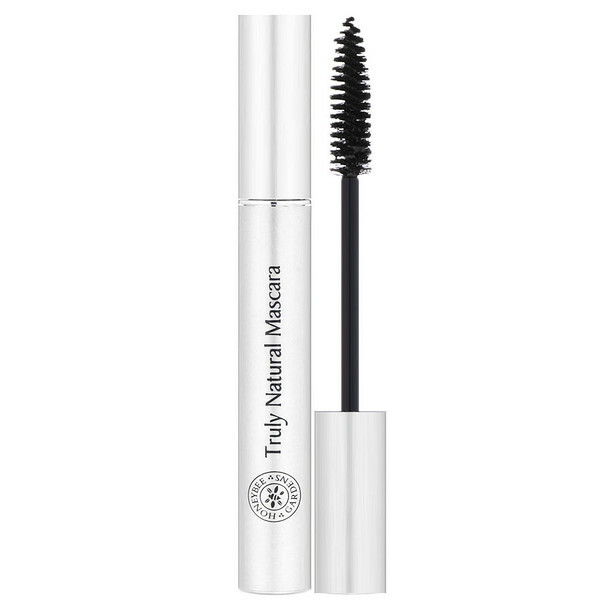 Unlike traditional mascaras that clump after one coat with lashes stuck together (making application of a second coat nearly impossible,) our mascara remains light and silky. You can easily apply that second coat to get a more dramatic look without harming delicate lashes. Purified water/aqua, serenoa repens (saw palmetto) fruit extract*, helianthus annuus (sunflower) seed wax, shorea robusta resin, rhus vernicifla cera, ascorbyl palmitate, brassica campoestris/aleurites fordi oil copolymer, copernicia cerifera (carnauba) wax*, glycerin, olea europaea (olive) fruit oil*, persea gratissima (avocado) oil, triisostearyl citrate, polyglyceryl-2 oleate, polyhydroxystearic acid, euphorbia cerifera (candelilla) wax, methylcellulose, rosemary (rosmarinus officinalis) leaf extract*, xanthan gum, propanediol, phenethyl alcohol, undecyl alcohol, d-alpha tocopherol. May contain: Mica, iron oxides (cl 77499, cl 77492).